The most complete tool for wireless mobile IoT applications. UDOO NEO FULL is the best, all-in-one solution for wireless mobile IoT applications. 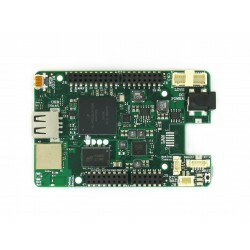 The single board computer born for wireless mobile IoT applications. UDOO NEO EXTENDED is the perfect solution for wireless mobile IoT applications. UDOO QUAD and UDOO DUAL help you move your first step in the world of makers with the reliability of a powerful open source, open hardware Arduino-powered Android / Linux Mini PC.